An original storytelling tailored for the new MINI Countryman. A unique experience designed by Buchowski staring the French Folks crew. For the launch of its new Countryman MINI wanted to highlight its all-terrain abilities and reach a new male target as the original urban MINI COOPER and the brand itself was known to be more appealing for the female market. To give a manly touch to the campaign was the main goal to position the vehicle as a serious competitor on the SUV market. MINI asked us to design a genuine experience in 6 days starting from Biarritz where the product launching event took place. 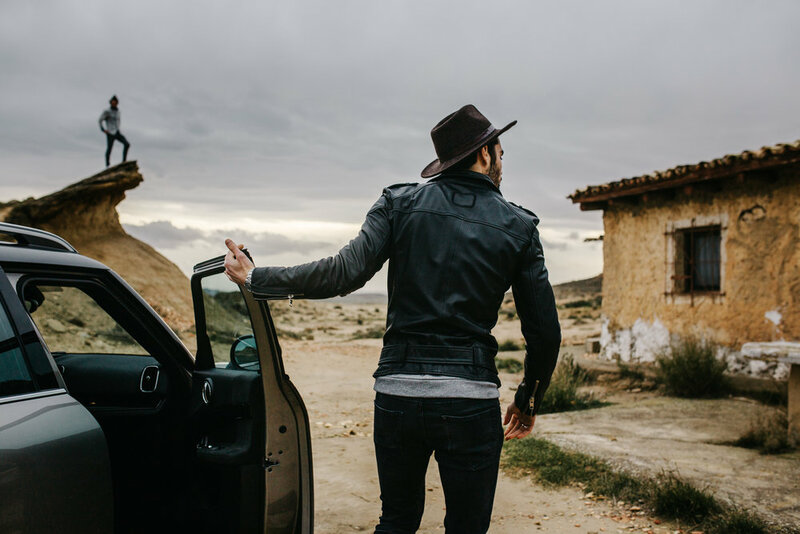 We choose to involve two parisian lifestyle influencers and the French Folks collective, content creators and outdoor influencers on a roadtrip through a huge variety of terrains between the french bask country and Lisboa. Our main brainstorming theme has been the four elements, that’s why we designed a road map passing through dry deserts, snowy mountains, dense forests and coastal landscapes (and the biggest wave of Europe in Nazaré) in only 6 days. - Design the roadmap, casting and content production. - 150 pictures and 1 film have been made by Buchowski and French Folks crew. For the brand’s and influencers social networks. The video and some posts have been pushed as Instagram ad.